What is certain is that nobody wants to look older! It is natural that people should wish to look younger than they really are. Some are happy if they look their own age. 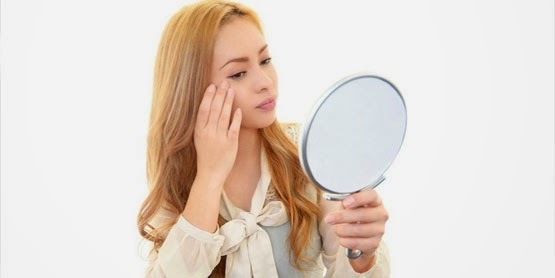 The pores around your eyes do not produce oil, that‘s why the skin around that area is never greasy. This is one of the main reasons why the first wrinkles when we start aging appear around our eyes. Here the skin is extremely thin and requires extra care. The main mistake made by women is that they sometimes use shimmery eye shadow. Instead of shimmery products use matte shadow of the same shade. This beauty product is meant to mattify skin. The T-zone is the most prominent area, porous and usually oilier than the rest of the face. Do not powder every inch of your face. Apply powder only on your chin and nose. Be careful while applying powder on your forehead. Never forget that too much powder in this area might exaggerate lines and wrinkles. Give your preference to neutral shades of lipstick or gloss – pink, beige or any other color that is close to your natural lip color. 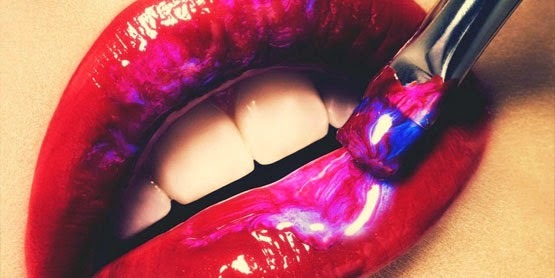 Another trick you can use is to apply a bit of clear gloss to make your lips look fuller, more supple, and tempting. What models and actresses do in all commercials or flicks that we watch is that they use lipstick or lipgloss right from the tube. Actually, it will be much better if you start applying your lipstick using a brush or just your fingers. In this way you will control the amount that is applied. 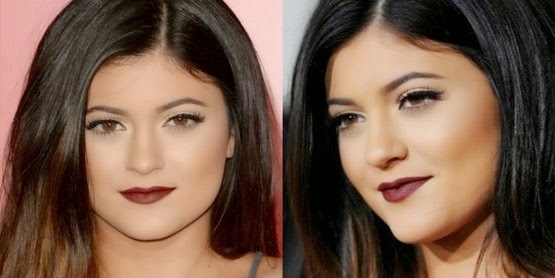 Put more of the product toward the center of your upper and lower lips and then blend the lipstick out toward the corners. Younger women haven’t yet faced this problem but women at their 50s and older know that the color of eyebrows tends to fade. Mature ladies with ticker eyebrows can even notice grey hair. This can be easily improved. Once you notice that your eyebrows are not as dark as they used to be some 10 or 20 years ago, purchase an eyebrow pencil of a lighter shade than that of your natural brows. Use a pencil that is at least one shade lighter and blend it with your existing eyebrow. Try brown eyeliner instead of black and you will see the difference! Brown shades look more natural. The same rule can be applied to mascara. Another important thing is to avoid drawing hard and very precise or sharp lines with eyeliner. Softer lines are preferred. Blend it with the skin and then smudge the edge with a Q-tip. One more tip for you to remember if you want a younger look is that you should avoid applying liner to your lower lid. Eyeliner on the lower eyelid makes even big eyes look considerably smaller. Do not apply mascara to your lower lashes, especially if the texture of the mascara is rich or matted. The effect that it gives will always remind of crow’s feet. It’s great if you apply some mascara to your upper lashes. This will open up your eyes and make them more expressive and refreshed. It’s very important to know where exactly on your cheeks you should use blush. Should it be right on your cheekbone or a little lower? The effect can be extremely different. 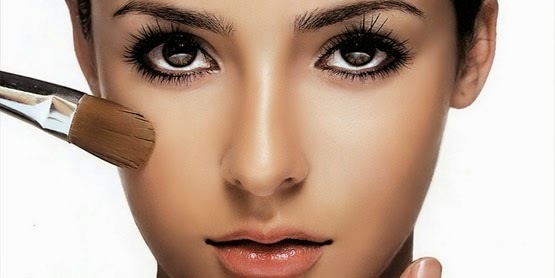 If blush is applied the right way it provides a youthful and healthy look. Experts recommend that you should apply blush at the highest point of your cheekbone or a bit above any fleshy part of your cheek. Do not apply it too close to your nose. It is equally important to know how to apply it. Each stroke should start from the center of your face out. Lift the brush upward with each stroke. 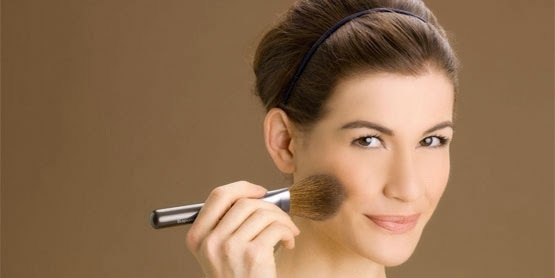 Blush brush should be large enough to cover your entire cheekbone. 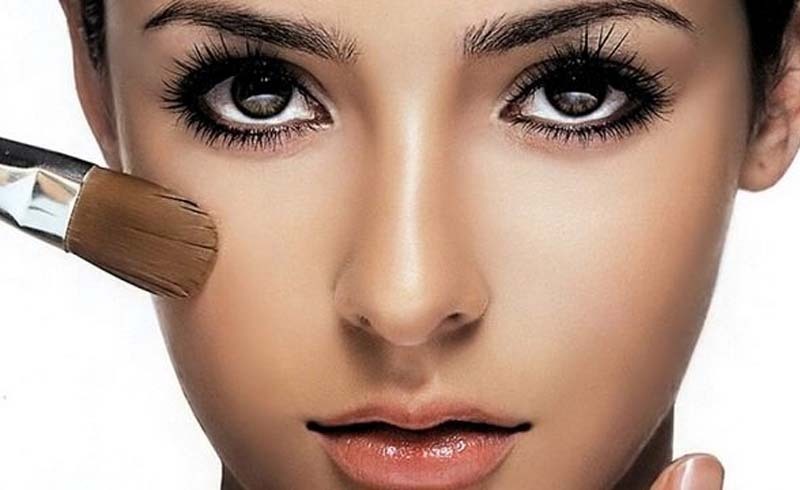 Go for rosy or neutral shades and avoid darker blushes with flat or matte finish.